I had the pleasure of interviewing Polina Raygorodskaya. 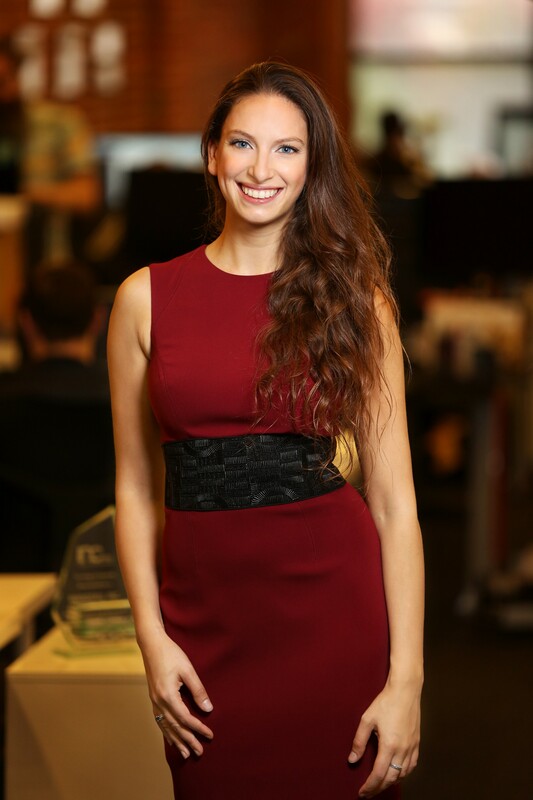 Polina is the co-founder and CEO of Wanderu, the leading multimodal travel search platform in North America and Europe. Wanderu was the first (and to this day, the only) travel platform in North America to allow people to find and book all available bus and train travel options from point A to point B in one convenient place. A year ago, the company expanded to Europe, and is currently in the process of adding other travel modes suchs as flights and ferries to its search results. 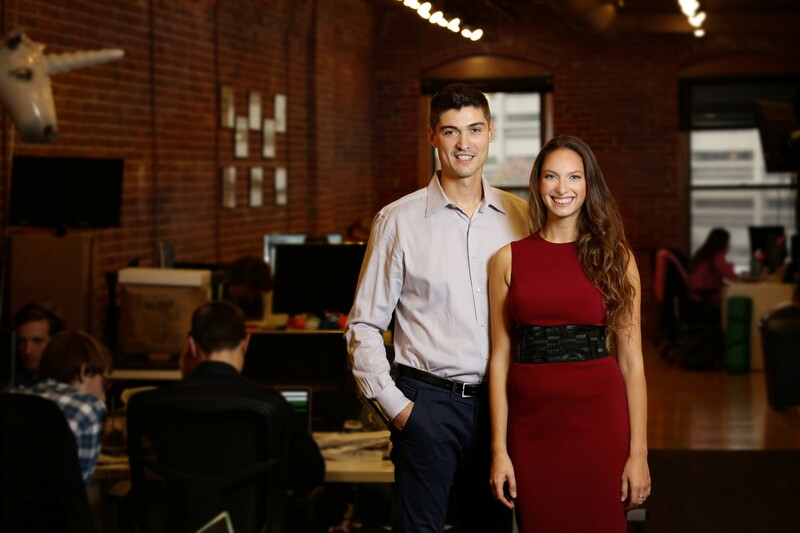 In less than five years of launching Wanderu, Polina led the company to profitability, making it one of very few tech startups that were able to reach that milestone within such a short amount of time. As a result, Polina was featured on the cover of the October 2017 issue of Inc. Magazine as one of the most innovative women founders in America. 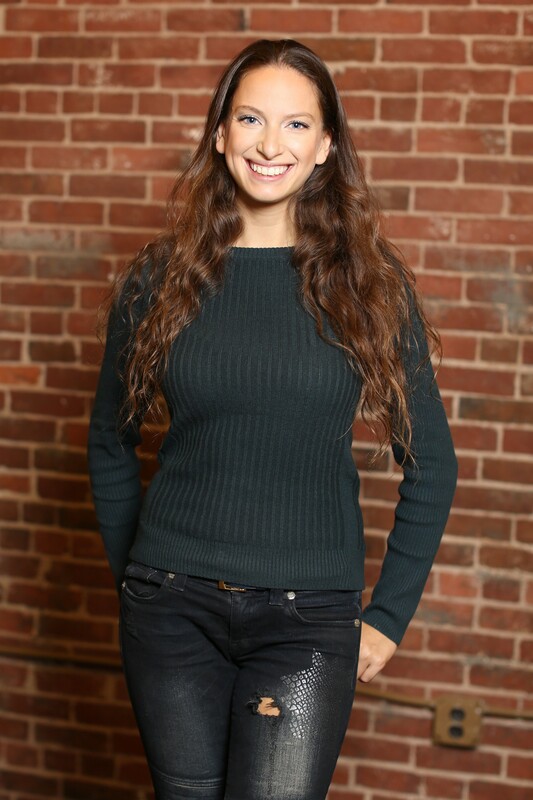 In 2016, Polina was also featured in Forbes’ annual 30 Under 30 list in the Consumer Tech category. Prior to starting Wanderu, I was running my own boutique public relations firm that catered to clients in the fashion and lifestyle sector. I had started the company while attending Babson College, which is consistently ranked as the #1 school for entrepreneurship. At the time, I was working as an editorial and runway model in New York City but it wasn’t long before I realized that the modeling gig wasn’t very appealing to me. Sitting around for hours in a chair for hair and makeup, and then being pushed around by photographers and crew members was definitely not something I found fulfilling. However, I found myself very drawn to the behind-the-scenes world of the fashion industry, particularly event management and production, so when a local Boston designer whom I had known for a while approached me to produce a fashion show for him, I jumped at the opportunity. At the time, I was still in college and had never ran an event on my own but I had participated in numerous ones as a model, so I was quite familiar with the ins and outs of what was expected of me. That event ended up being a great success and a number of other successful local gigs followed. That’s when I gained the confidence that I could actually do that full-time and decided to move to New York to explore further opportunities. Using the connections I had made as a model there, I was able to procure clients and very soon my PR and event production firm took off. I come from a family of immigrants — my family moved to the U.S. from Russia on a refugee visa when I was only four years old — so I was brought up with the mentality that I had to work hard to build my own success. When we first arrived here, my father worked as a pizza delivery guy but he took computer classes at night to hone and adjust his engineering skills to the American market, because he wanted to ensure a better life for me, my siblings, and my mother. He paid his dues, worked his way up the corporate ladder and recently retired from a high-level position at Verizon. My parent’s determination for success has always been a great source of inspiration for me because it goes on to show that you can achieve anything if you set your mind on it and you are persistent. They came here with nothing and forged their own path to success. I guess that’s where I get entrepreneurial spirit from — it takes a special kind of mentality to be able to quickly recognize and evaluate an opportunity, and build something useful out of nothing. The idea for Wanderu was born out of my own frustration of not having one specific place online where I could find and compare all available bus and train options for traveling between any two points in the U.S. While I was living in New York and running my first company, I often had to travel for work to D.C. and Philadelphia, or to Boston to visit my family and attend classes at Babson. Taking the bus was always my preferred way to travel because it was very cheap and, as buses have free WiFi and power outlets, I could use the time to be productive and get some work done, instead of having to spend tons of money not just on flights but also on taxis to get me to the distant NYC airports. The main problem with that, though, was that I had to visit every carrier’s website and manually compare options to find the one that best fit my schedule and budget. That’s when I realized I shouldn’t have to do all that every time I needed to go somewhere, and it was back then that I became aware of the potential business opportunity. The turning point came in the summer of 2011 when my now-business partner Igor Bratnikov and I joined a group of young professionals traveling across the country using only shared rides on a mission to raise awareness about national parks and forests. During our trip, a driver who was supposed to take us to our next destination cancelled on us at the last moment which stranded us in the middle of rural Virginia. At the time, we had no way of knowing what buses or trains we could catch to continue our journey because there wasn’t a single go-to place online where I could find and compare all available bus or train options for traveling between any two points in the U.S. It was then that we became determined to create Wanderu, a multi-modal travel search engine that allows people to easily find and book the best deals on travel from point A to point B. Over time, we have come to discover that a lot of people do prefer to take a bus or train over flying even for some longer distance trips. In fact, some of our most popular routes include Los Angeles to Las Vegas, New York to Chicago and New York to Atlanta. With Wanderu, we completely revolutionized the ground travel industry and the way people book bus and train trips. Prior to Wanderu, travelers had to go to each carrier’s website and manually compare the available options to find the one that best fit their preferences. As I mentioned earlier, that was not only frustrating, but it was also an unnecessary waste of time having to navigate through a number of tabs on your computer, trying to figure out what travel options to choose. Besides, if you are not familiar with the area, you wouldn’t know what bus or train carriers cover it, so it would be nearly impossible to find all available options. When we launched Wanderu, we provided a solution to all of those issues that ground travelers were facing. We put all available bus and train travel options for a specific route in one place, so people could easily compare them and find the best one. This might sound like a common sense practice now, especially since Wanderu-like aggregators have been available in the airline industry for a while, but the ground travel field was really slow to adapt to new technology. In fact, when we were first starting out, many bus company executives were adamant that a service like ours would never be possible for ground travel due to the fact that each carrier used its own unique ticketing technology, or no technology whatsoever. However, we were able to prove them wrong by building a platform that was able to incorporate all different ways carriers used to issue their tickets, and bringing the ones that did not have an online ticketing platform into the digital world. 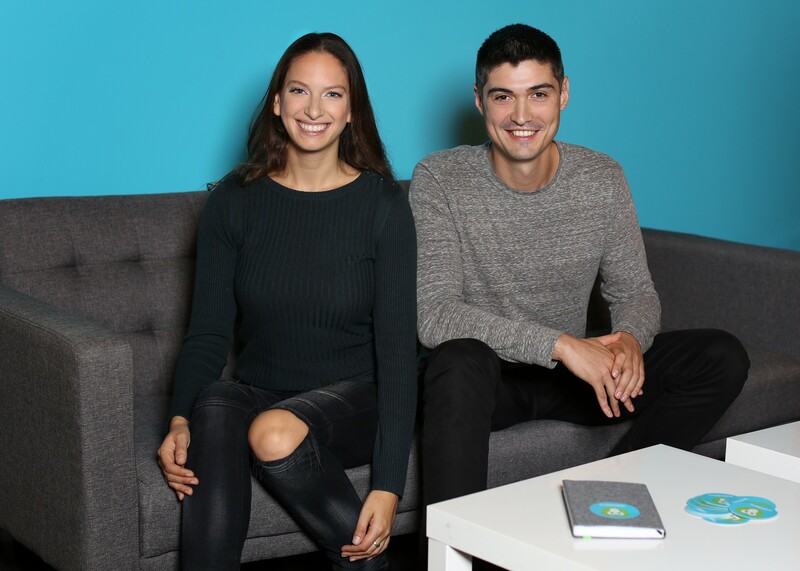 I have to say — throughout this journey of building and running Wanderu, I have met a number of truly extraordinary people who have given me and my business partner some really useful advice and guidance. I definitely have to give a shoutout to one of our earliest advisors and investors, Craig Lentzsch. When Igor and I were laying the foundations for Wanderu and doing our due diligence trying to gather more and more information about the bus and train travel industry, we were introduced to Craig by a mutual contact. Craig used to be the President and CEO of Greyhound, the largest bus carrier in the U.S., for almost 10 years, so he was definitely someone with a very extensive set of knowledge about the ground travel field and the issues that we were trying to solve. At first, like many others, he was very sceptical about how the two of us, who were essentially outsiders to the industry at the time, would be able to achieve something that many others had tried before and failed in a field in which we had zero background. However, after we presented him with our business plan and ideas, we were able to turn him around and gain his confidence in us. In fact, he not only ended up investing in Wanderu, but he actually now sits on the Wanderu board and has provided us with tons of invaluable guidance and know-how that helped us grow Wanderu into the leading platform for booking bus and train travel. Another mentor who has helped me tremendously from the dawn of Wanderu is Paul English. Paul is the founder of Kayak, the online booking platform for flights and hotels. He is a very good friend of mine and, as someone who has gone through the process of developing and running a successful trip aggregator in the travel sector, Paul is a person whom I can turn to for sound advice and I know that he will always have my best interest in mind. From the first day my co-founder and I began working on Wanderu, we set out on building the best travel booking platform out there with the goal of turning it into a one-stop shop for everything a traveler would need to book their trip. We plan to achieve that by further integrating various modes of transportation in our search results. We already provide our users with the ability to search for flights, and we are adding more and more ferry options to our platform. However, our main goal is to put all trips, including bus, train, ferry, and flight options, on the same results page and be able to combine them to reach any destination within our network, so travelers can easily find all the available ways through which they can travel and make the most informed decision when booking their trips. There’s currently no other platform that does this, so hopefully we’ll be able to make Wanderu a pioneer all over again. “Be picky with your investors” — Many entrepreneurs are excited when someone wants to give them money but it is extremely important to find investors that are helpful in other ways and are supportive of entrepreneurs. We are extremely fortunate to have amazing investors that have made key introductions for us, supported us in the business, and are there to provide advice when needed. “Trust your gut.” — This one may sound like a cliche but it’s something I’ve always relied on when making a decision, especially when it comes to hiring people. We have built an incredible team that is passionate about solving problems in travel and creating the best user experience for our customers. Sometimes, a resume can only do so much. There have been situations where we’ve hired someone who maybe didn’t have the most relevant experience but we trusted our gut that that person had a lot of potential brewing inside them and we ended up with an extremely talented employee. “Learn to look at obstacles as opportunities in disguise.” — It sounds easier than it actually is, especially because, when you come across an obstacle, it’s pretty hard to see immediately how it could be something that could eventually work in your favor. However, I’ve gone through so many ups and downs that when I encounter an issue now, one of the first things that go through my mind is how can I use this in a different capacity and what is the silver lining. 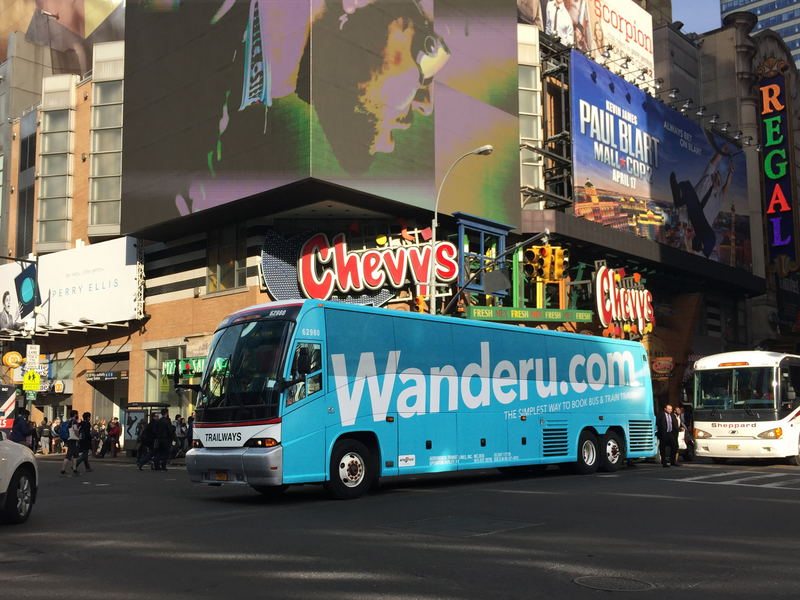 For example, back when we first launched Wanderu, we had almost closed a deal with a huge bus provider in the U.S. that was definitely going to establish the company as a major player on the travel landscape. At the time, we were headed to South by Southwest to compete for the Most Innovative Technology award at SXSW Interactive. We were hoping that, as part of our presentation, we’d be able to announce that we had just landed this great partnership. Unfortunately, right before we got to Austin, the carrier decided to postpone signing the deal, so we could not move forward with our initial plans. Regardless, we still ended up winning the award, and while not being able to get the carrier on board was crushing at the time, it proved to be a blessing in disguise. Had we signed the partner we would have launched and not had any users yet so we would be at risk of not being valuable to a major partner. Instead, we launched them 6 months after we were live and our user base was ramping up and we were growing 400% quarter over quarter so they were happy with the results. The Hard Thing about Hard Things by Ben Horowitz is an amazing book for anyone building a startup. It provides answers to questions you would never cover in school, and it does a great job setting your expectations of what life as the leader of a startup will be like. I’d love to have lunch with Elon Musk because I’m curious to know more about his approach in finding the right people to hire, among many other things. You can say hi and follow me on Twitter, Instagram, and LinkedIn.